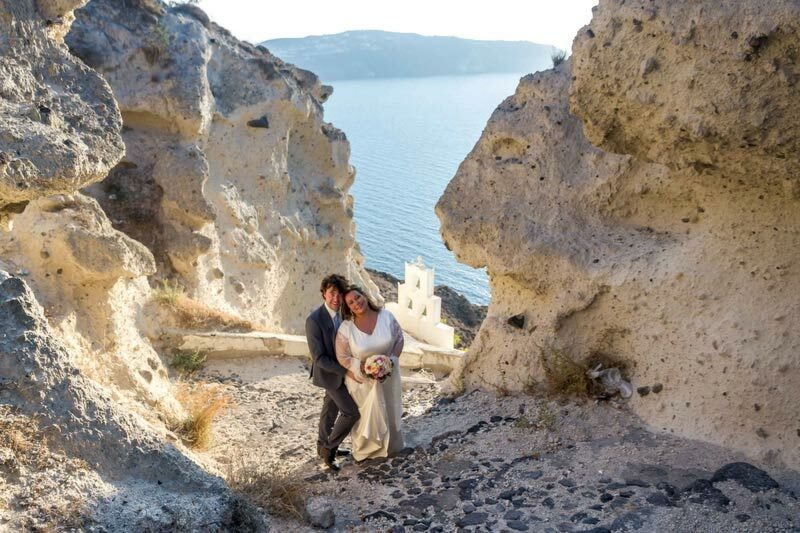 We feel so lucky to be living in Santorini, one of the most romantic places in the whole wide world! 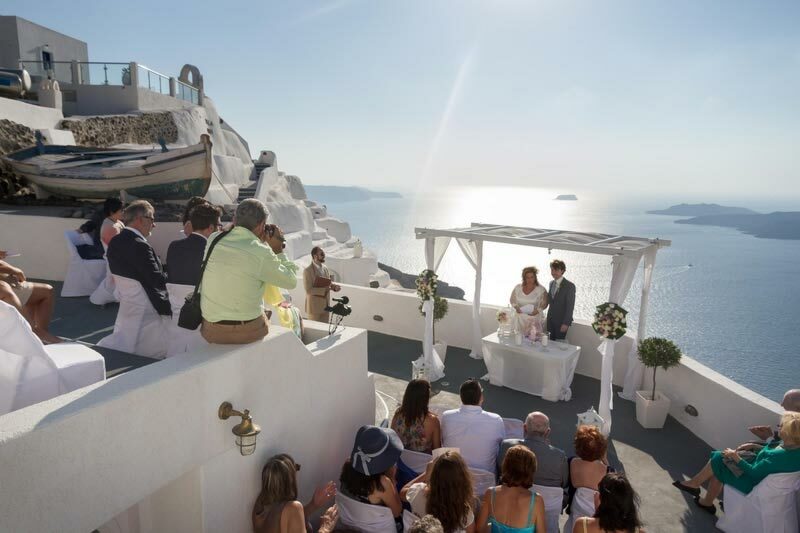 Santorini is a wondrously idyllic Cyclades Island with a dazzling sunset. 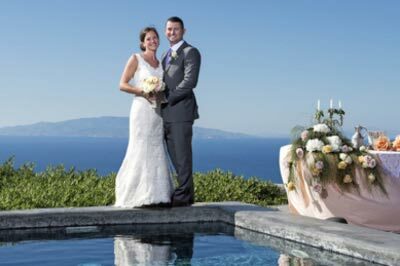 The breathtaking caldera view, the picturesque church domes and the romantic ambience are the ideal setting for a memorable wedding. 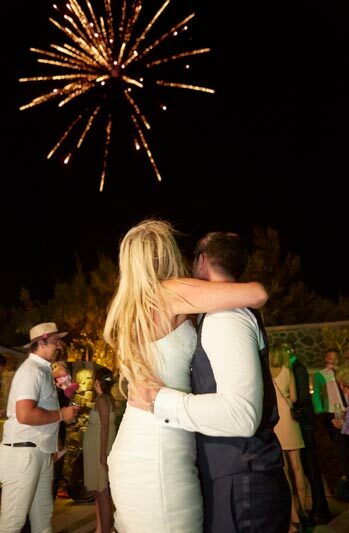 But we feel even luckier to be celebrating with you the happiest moments of your life! 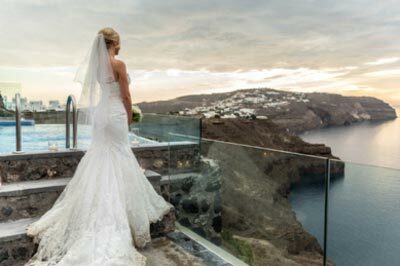 We believe in creating a tailored package around you; your dreams and desires will come true with our professional and exclusive services. 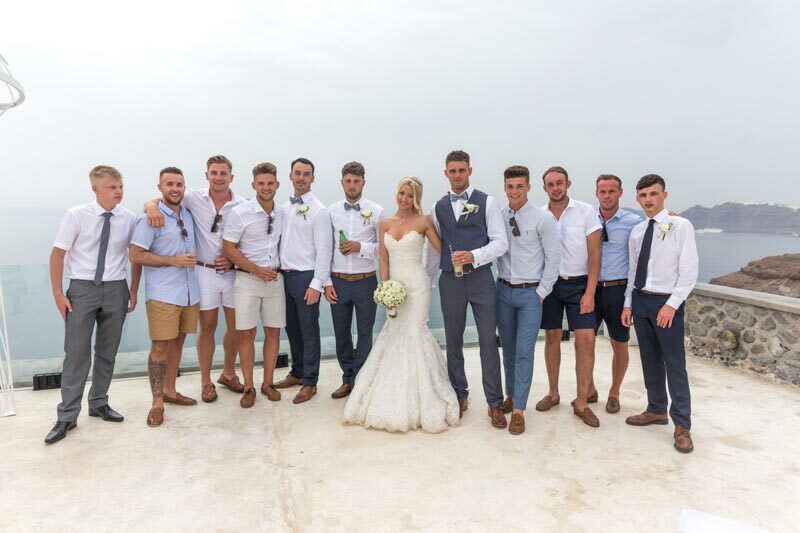 Our team will co-ordinate all activities throughout your day, without disturbing you or your guests, enabling you to enjoy your event in a stress-free environment. 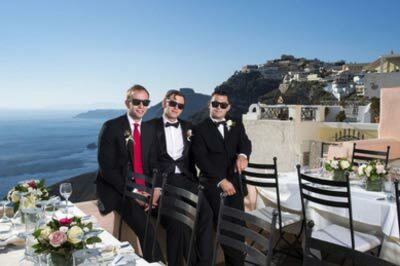 Our dedicate team will act with total discretion and ensure that your privacy is our priority. 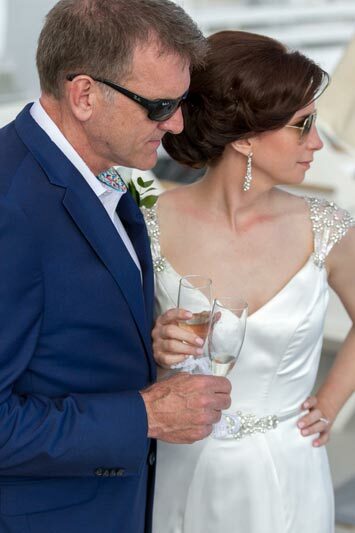 We believe that our actions speak louder than our words. 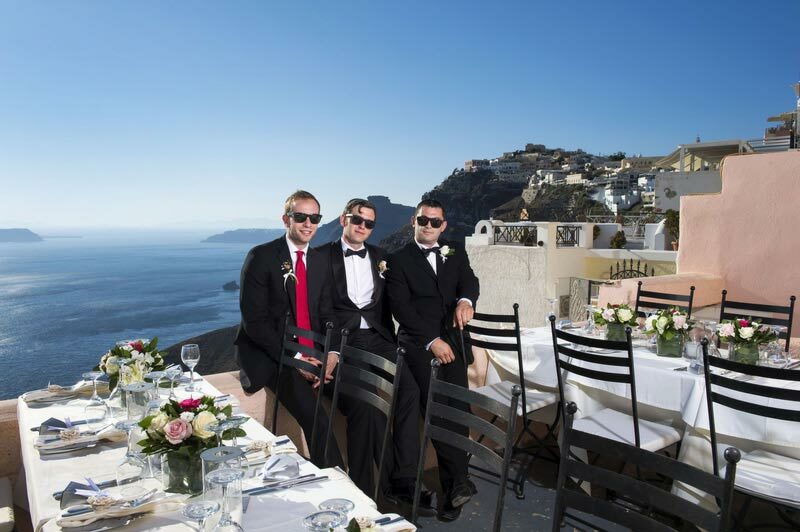 Generally we operate in many ways and we are flexible about how clients engage us. 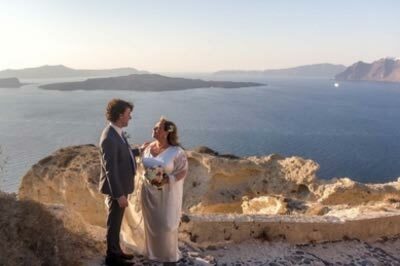 For those who want to plan much of their wedding themselves, or just need advice about suppliers and certain things about planning. 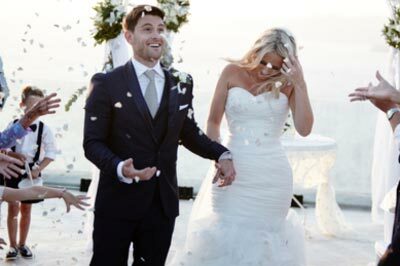 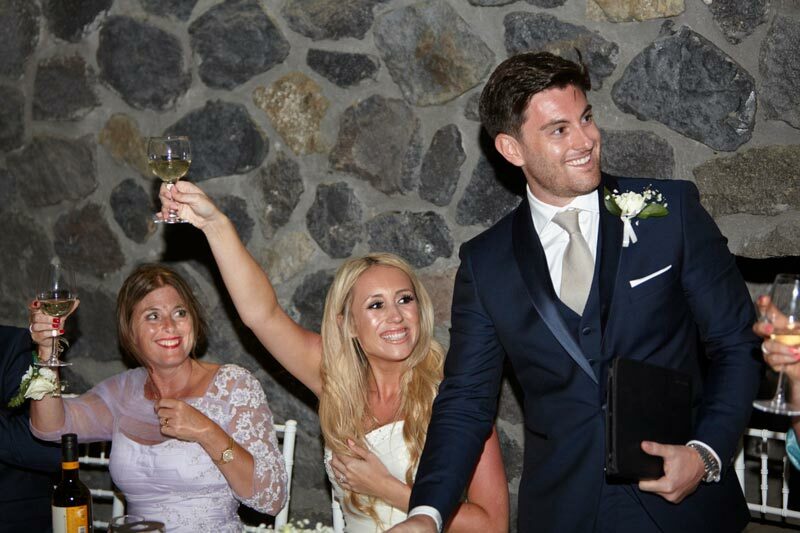 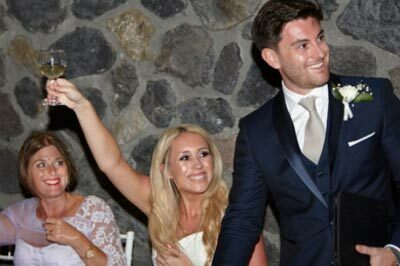 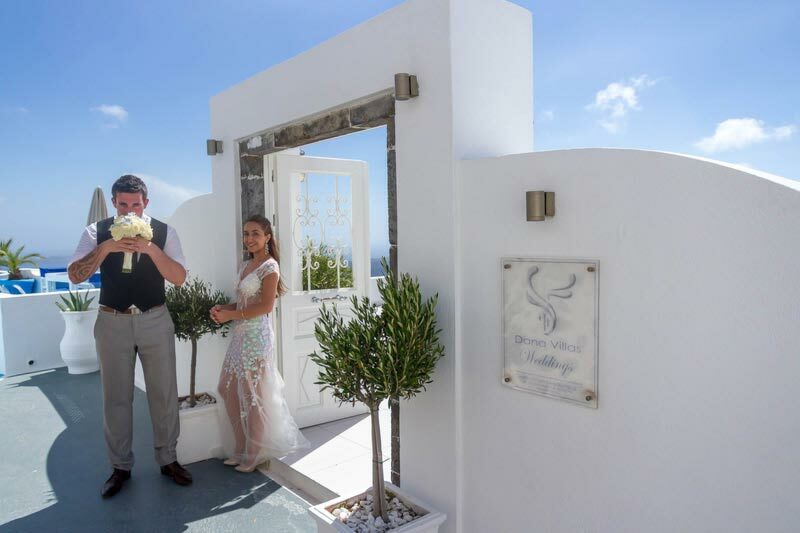 We will confirm all arrangements with suppliers develop a detailed running order and oversee everything- so you can enjoy your wedding party. 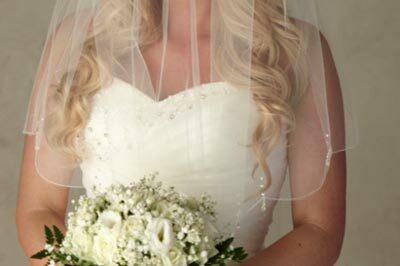 Wedding concept design, production including floral design, caterings, lighting, fireworks, sound etc. 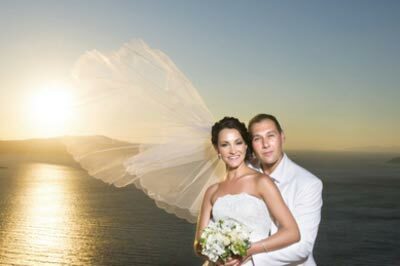 First we listen how you imagine your wedding or your event and then we share our ideas with you and handle your requirements as unique. 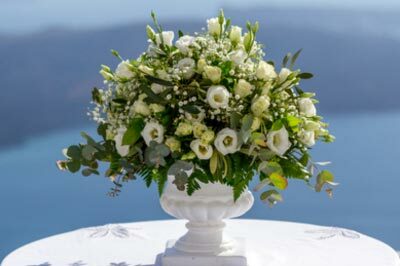 You expect value for money so for us no matter what size is your budget. 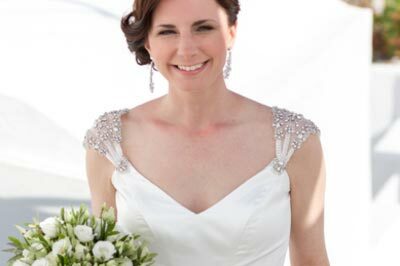 We have both commercial and event management experience with good project management skills. 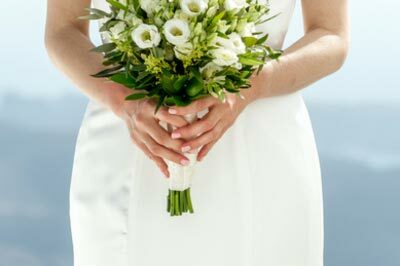 We plan carefully to ensure proper organization and execution of your wedding/event. 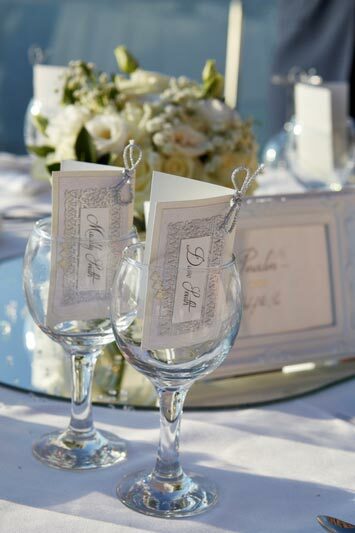 Our event runs smoothly because every detail has been thought through especially when different suppliers have to work together in harmony. 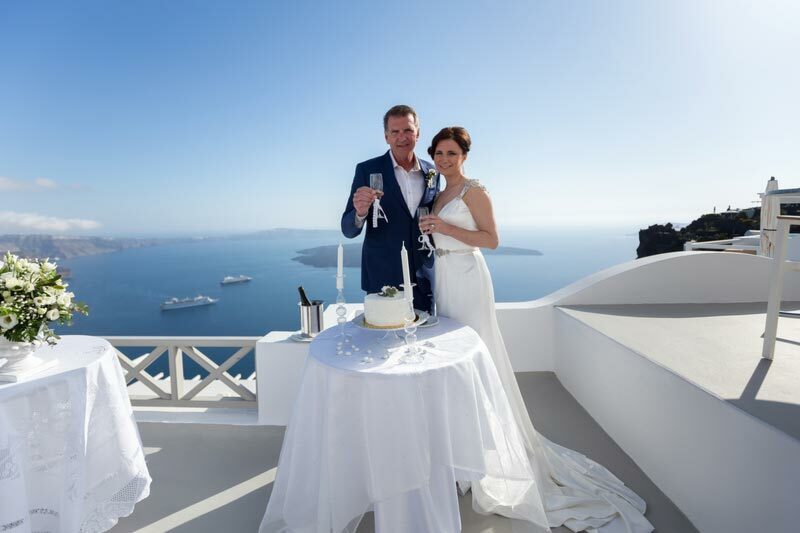 We develop very detailed plans and we always create contingency plans in order to work unobtrusively in the background and ensure that everything runs to plan. 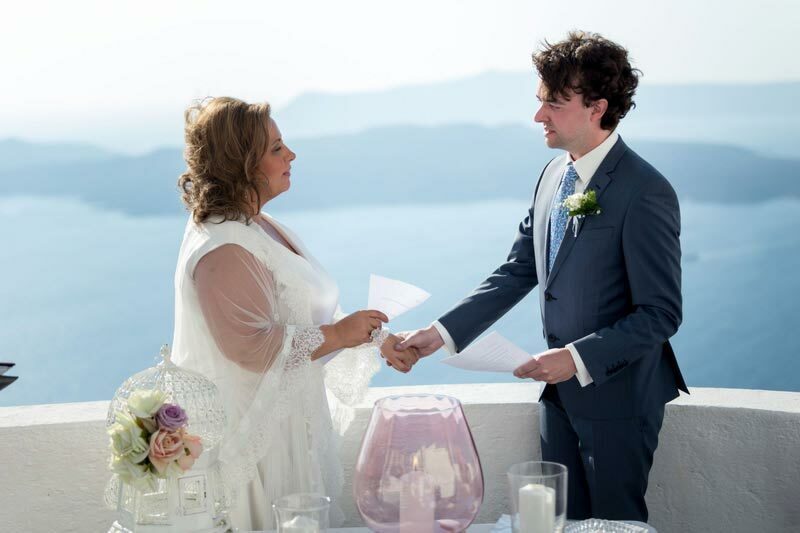 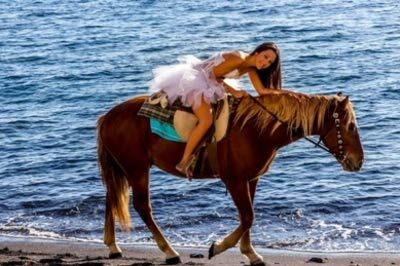 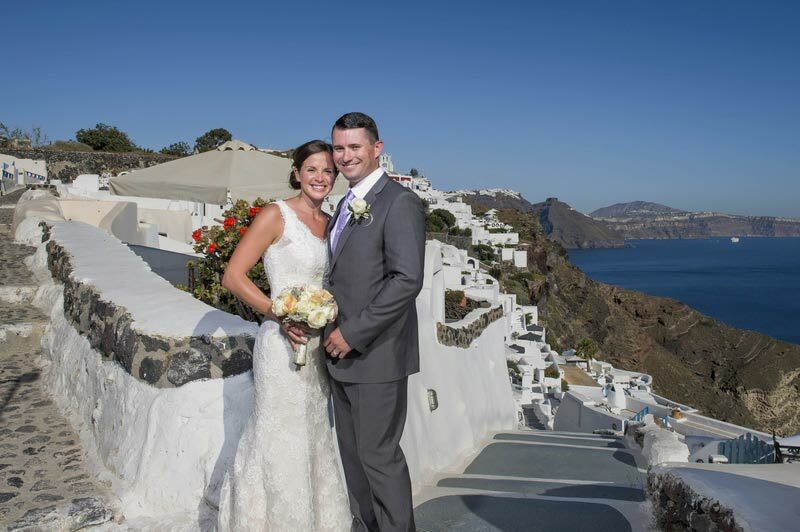 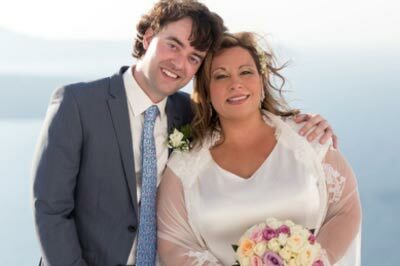 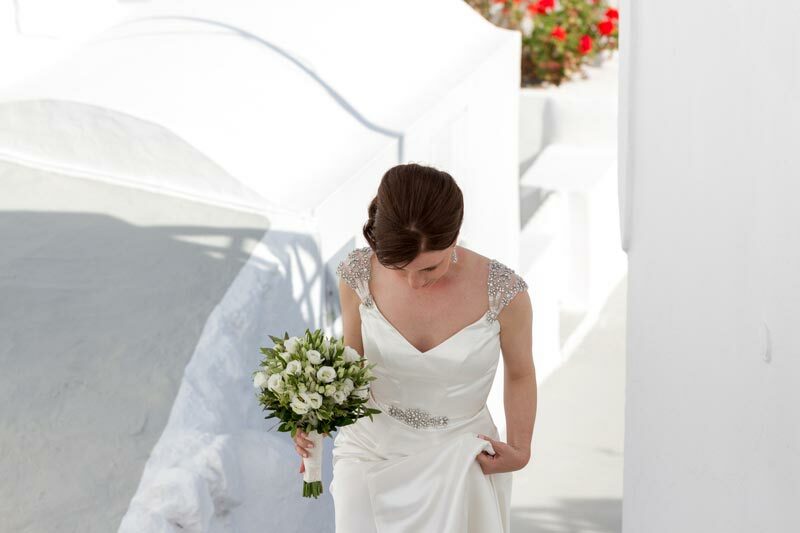 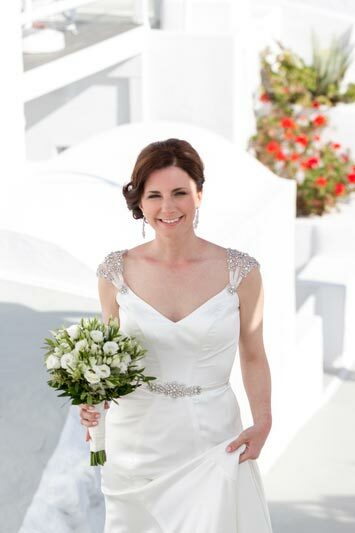 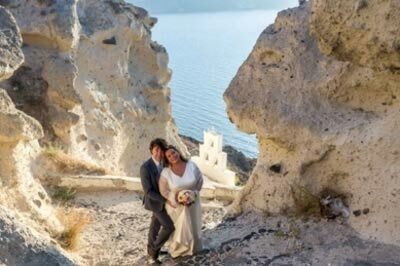 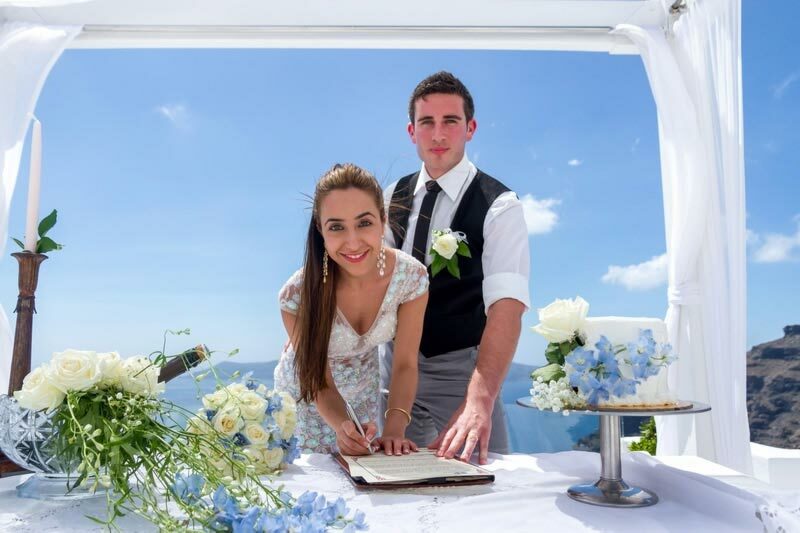 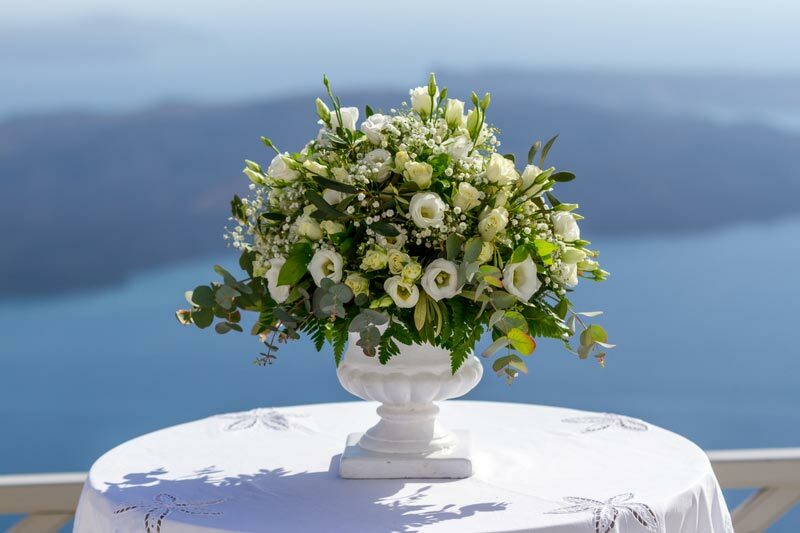 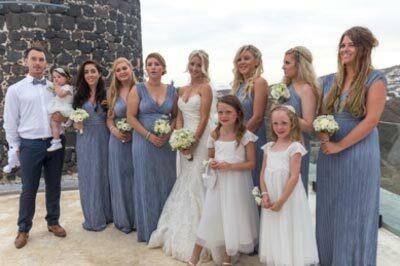 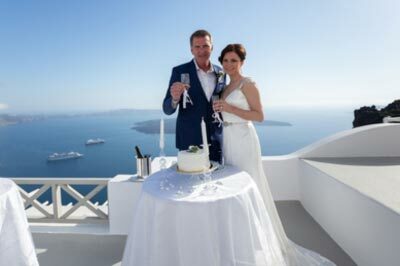 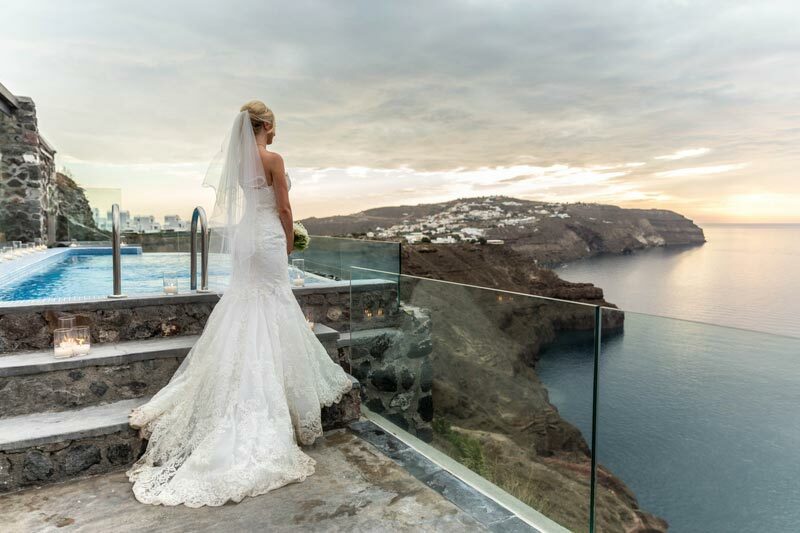 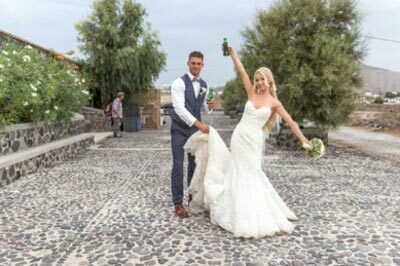 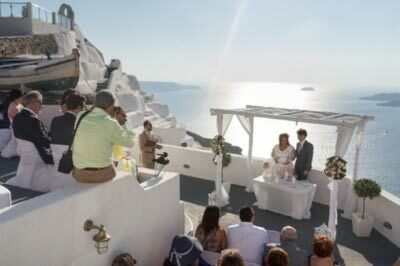 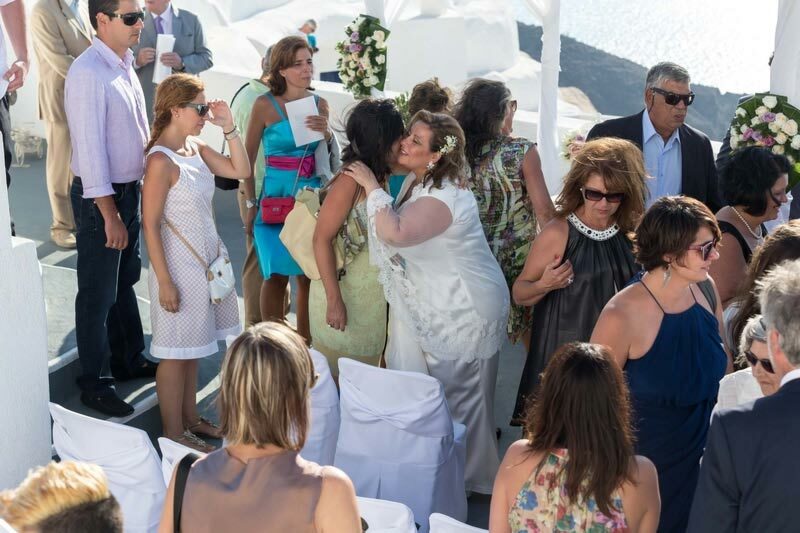 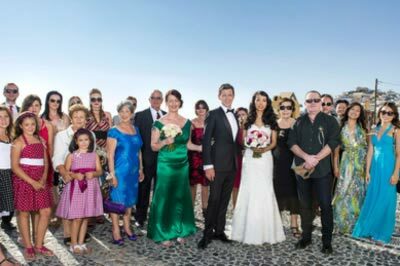 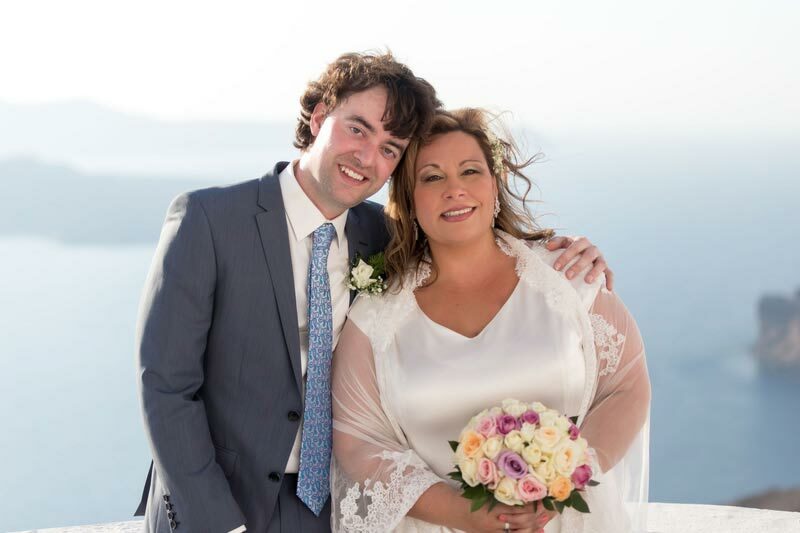 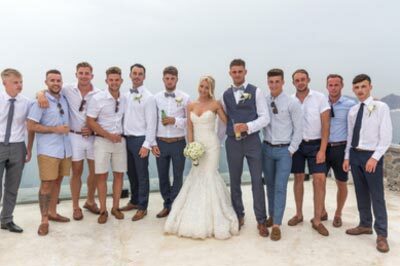 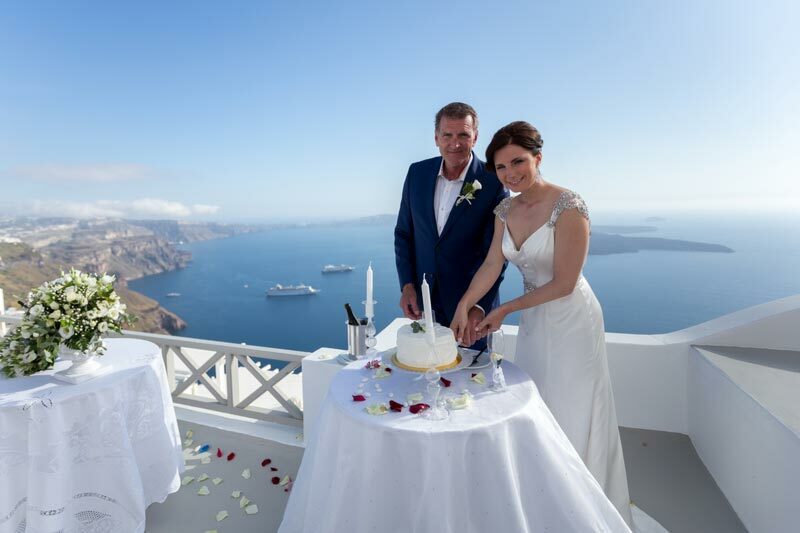 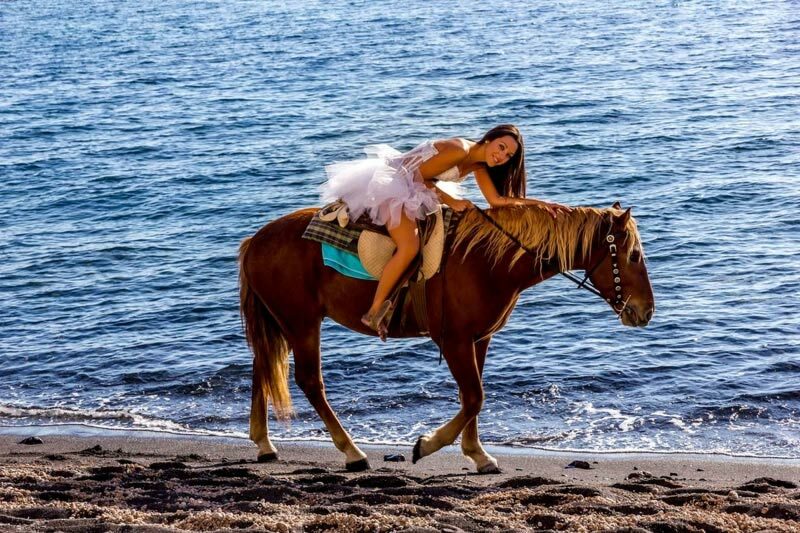 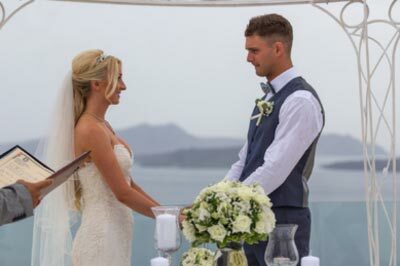 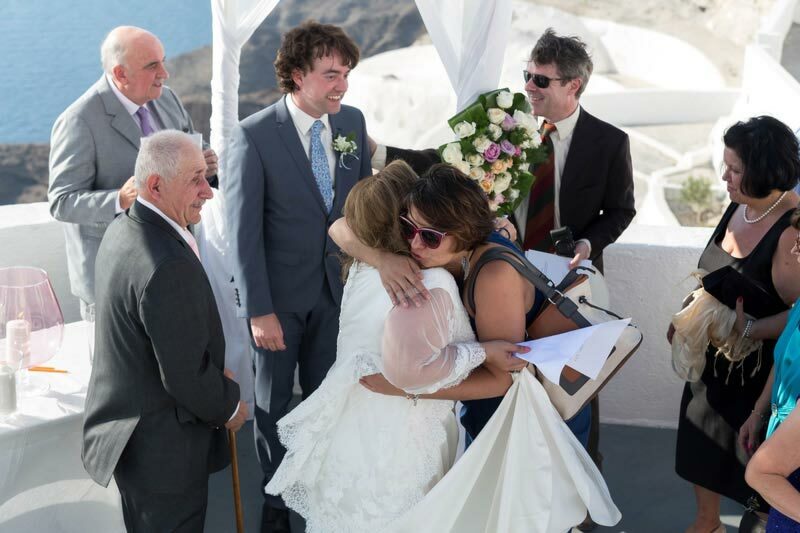 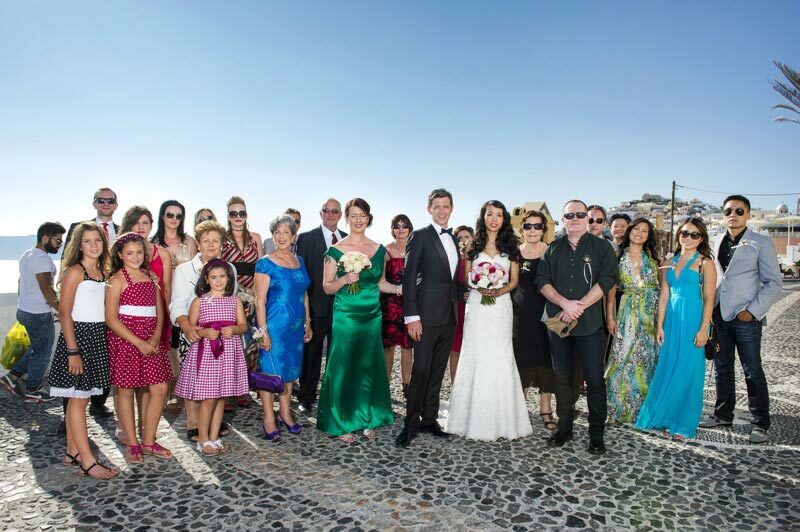 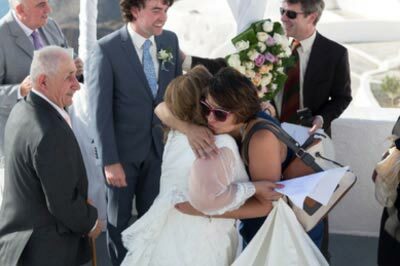 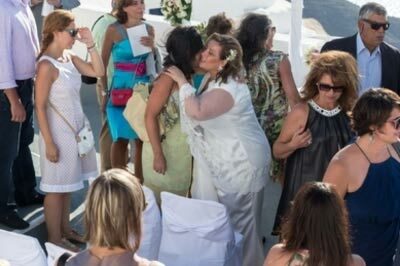 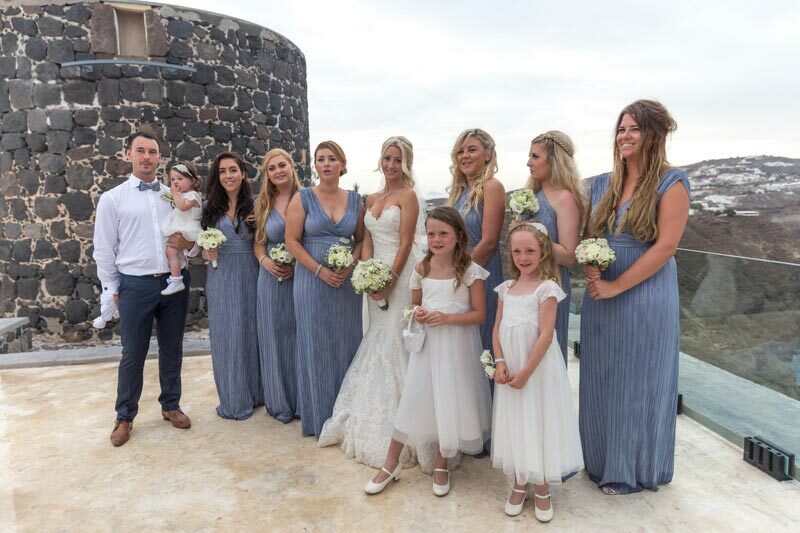 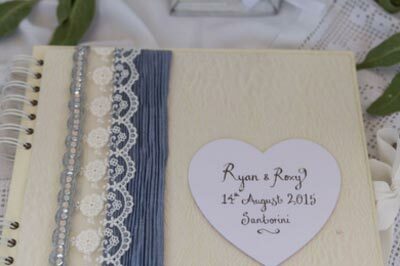 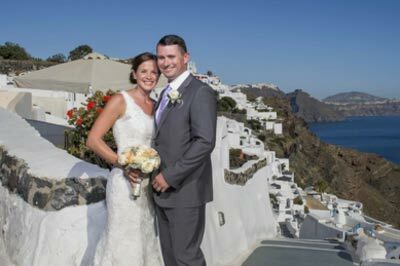 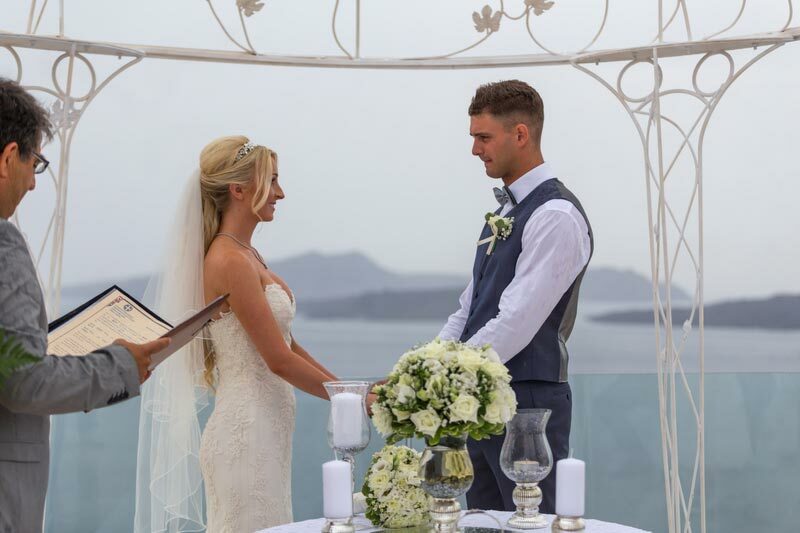 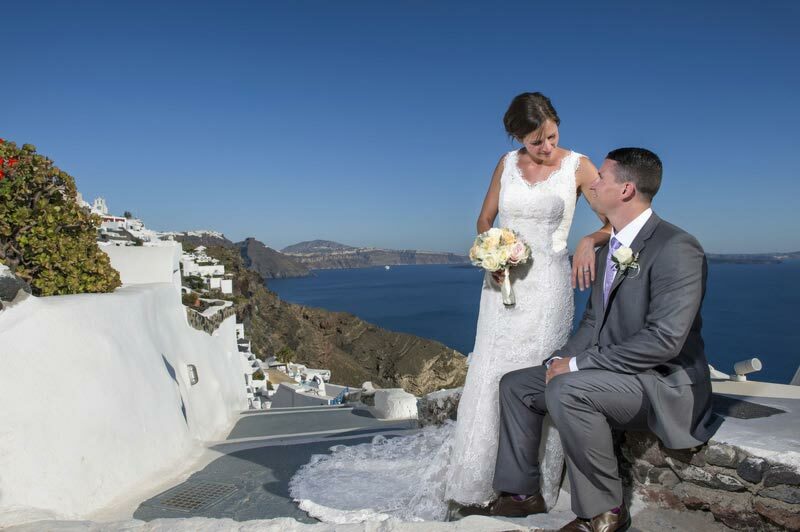 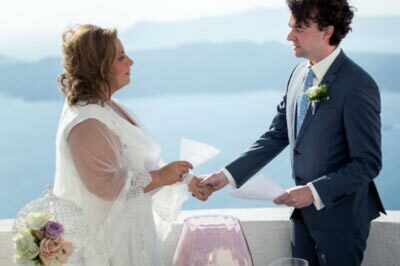 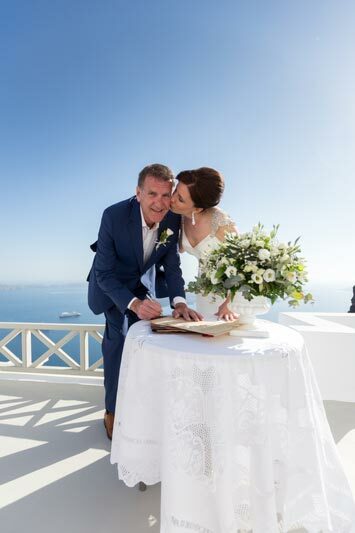 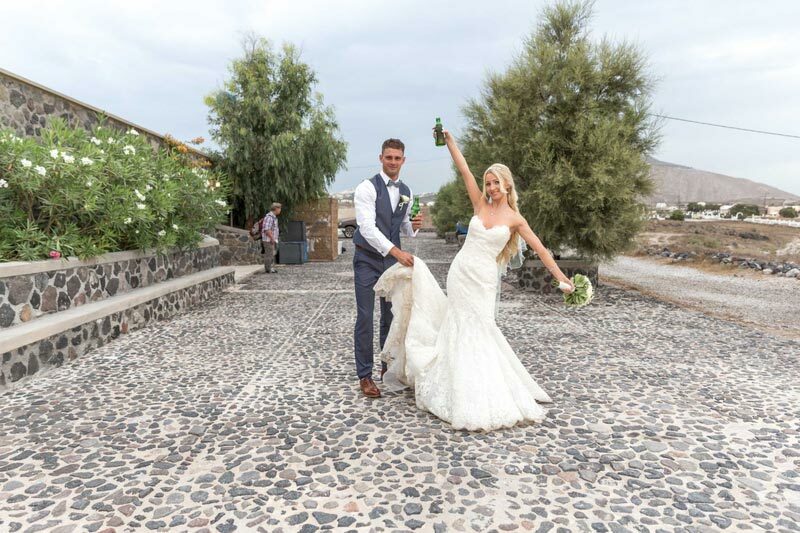 Why A la Carte Santorini Weddings? 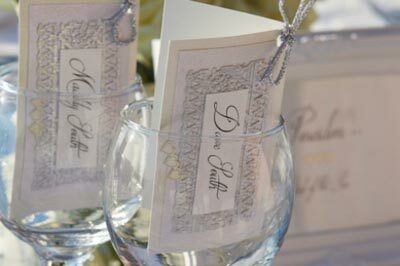 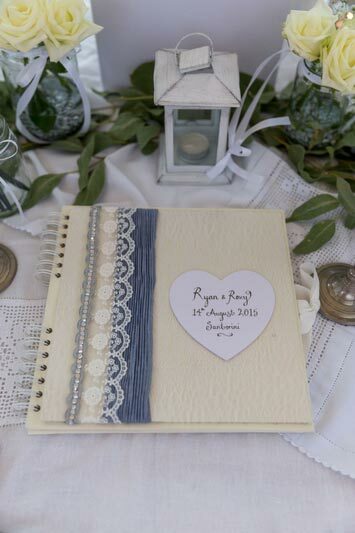 Beautiful weddings planned with passion. 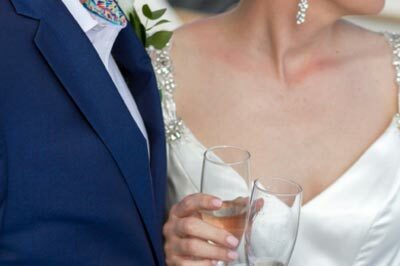 The experience of working with us is totally unique and many of our clients come to us through personal recommendation. 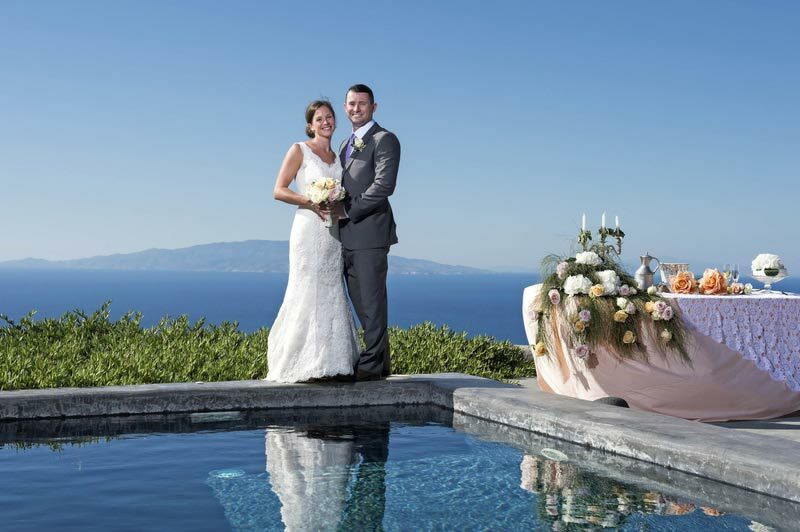 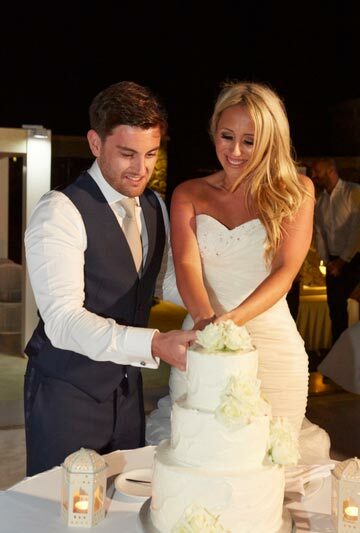 We put all our energy, passion and love into every wedding we produce small or large. 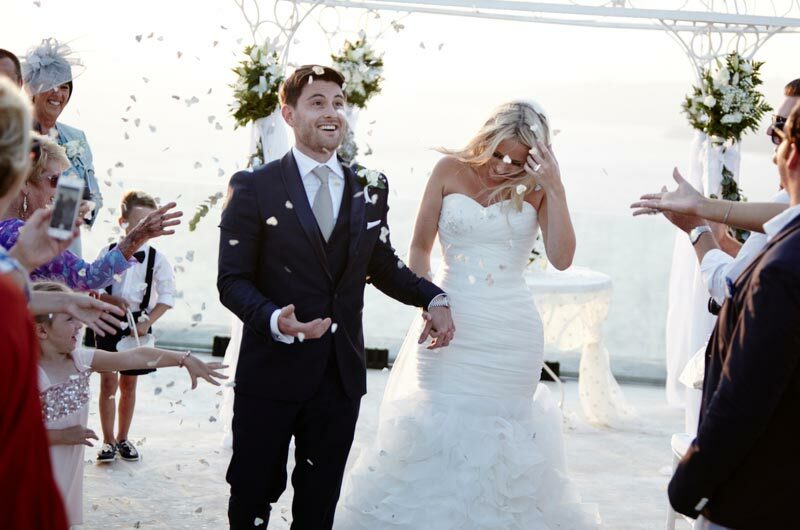 We aim to crystallize your ideas, define your vision and make planning your event fun. 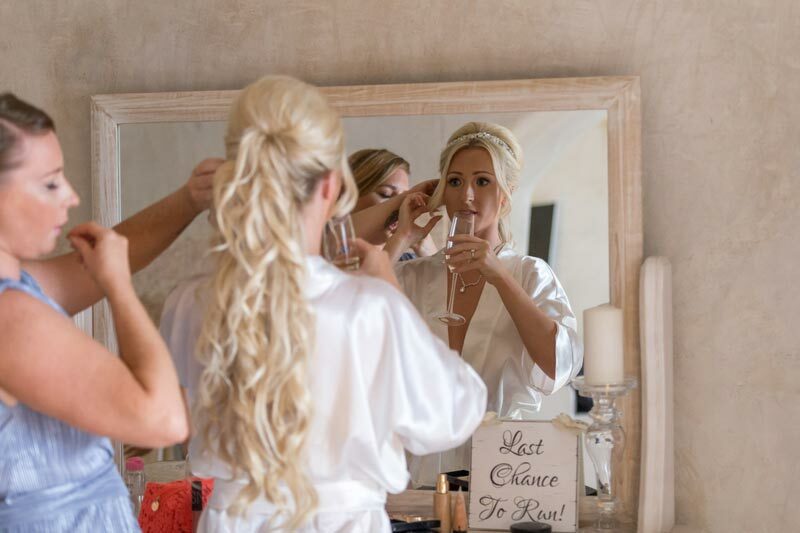 The result will be unique and spectacular. 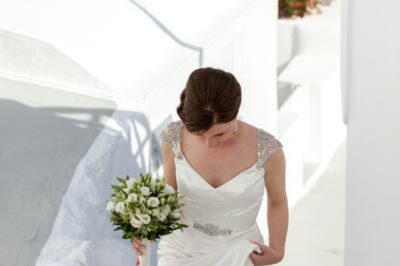 We hope we can be part of your wedding journey and make this totally unforgettable. 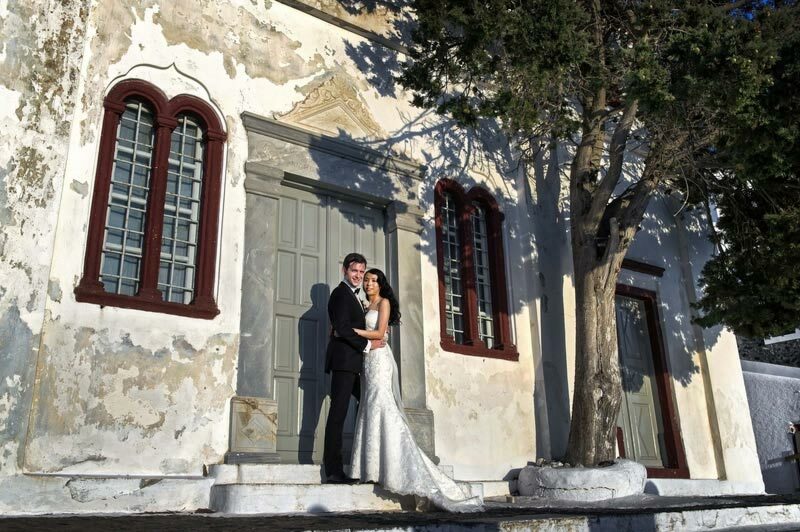 Maria & Bill - Orthodox wedding & Pre wedding photo shooting.